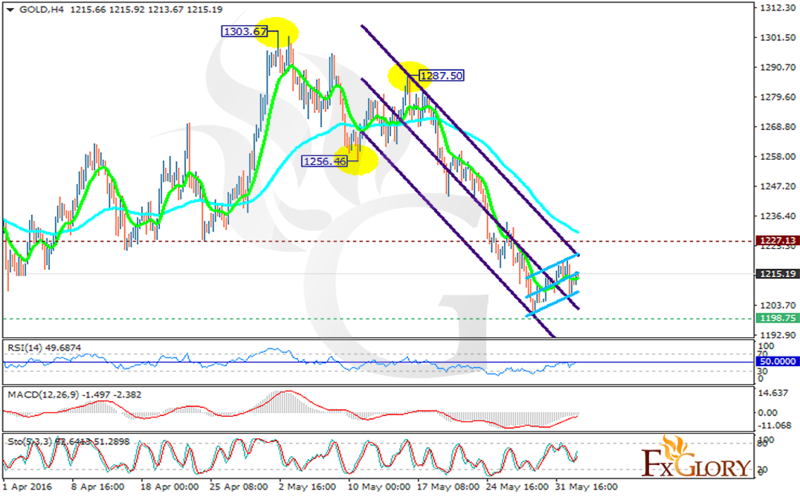 Gold had been moving with bearish bias within the long term descendant channel since the previous high at 1303.67 but it seems that it is starting to climb the ascendant channel for now. The support rests at 1198.75 with resistance at 1227.13. The EMA of 10 is located below the EMA of 75 but it is trying to grow. While RSI is staying close to the 50 level and the MACD indicator is in neutral territory, the Stochastic is signaling price growth. The resistance level breakout will push the price in higher ranges targeting 1250.